Mindfulness exercises for anxiety and stress are becoming increasingly popular at work and at home. While it might sound difficult to add yet another to-do to your daily routine, mindfulness exercises don’t have to take long at all. Anywhere between 5 – 30 minutes will provide enough time to help subdue feelings of anxiety and stress. Effective mindful routines and exercises can help you to take control of your stress, anxiety and improve your overall mental health as mindfulness exercises provide a break for both your mind and your body during a stressful day at work or at home. And what’s even better is that they can be performed on your own, so you aren’t reliant on a teacher or buddy to make progress. Mindfulness exercises can be performed anywhere, anytime. Below we’ll share six simple mindfulness exercises you can do to help reduce any feelings of stress, anxiety, and depression and to generally improve your mental health. Basic breathing exercises can help to calm the mind and body. Grabbing 10-minutes out of the workday or even at home to focus solely on your breathing patterns and the rise and fall of your chest can provide some effective results, this awareness of your body will help you to take relax. Exercise: The NHS has documented a 5-minute, simple breathing exercise to try. Very similar to breathing exercises, meditation can be a great way of taking control of anxiety with mindfulness exercise. Spending 5 to 10 minute meditating in a quiet spot can bring a lot of value to your daily routine. You can easily access guided meditations through an app, music player or even just through listening to meditation music. Meditation is simple and can be built-on to constantly improve your experience. Exercise: Try a simple 5-minute guided meditation from an app or YouTube. Yoga is a popular mindful activity. It’s a little harder to do in the workplace, but pretty easy to take part in outside of work due to the classes available online. Plus almost every town will have a yoga class or two available now. If you’re looking to get started with Yoga at home, you can get going on your own using an application like Asana Rebel to kick things off. Yoga is perfect for mindful exercise as it not only engages the body but the mind, too. Putting your body into a state of relaxation through movement. Exercise: Try a basic 5-minute yoga session using your bodyweight only. To get started, you could try a beginners session on YouTube. Walking is a very easy thing to do, all you need to do is make some time. Even on a lunch break, going for a walk, observing things and taking in nature can be a great way to connect with the world around you and take any fear, worries or pressures off your chest. Exercise: Start going for a 15-minute walk around the local park at lunch times. From yoga to meditation, apps can be a fantastic resource. There are plenty of applications we’ve recommended, so we’ll add the article below to discover all our favorite mindfulness apps. Exercise: Test out some of these recommended applications to start practicing mindfulness. Journaling has been used for hundreds of years as a form of documenting emotions, worries, feelings, and stories. Creating a journal, small or large, can be a great way to document your feelings and help capture your moments of success and lows. Providing a way to document this will help you to feel more in control. Exercise: Start writing a short paragraph daily in your journal of your feelings and worries. 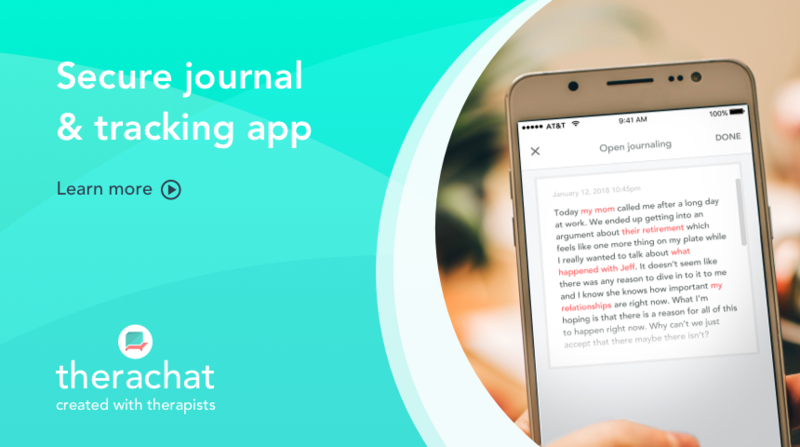 You could also try out Therachat a free mobile app to track your emotions and symptoms, and learn how to journal. With a combination of healthy routines and focus, all of these exercises can help you take control of your mental health and help position you on the right course to move forward. Implementing mindfulness into your everyday routine is extremely valuable when it comes to conquering your anxiety. By putting aside some private time mindfulness exercises for anxiety and mental health, you can reap the rewards going forward. One of the best ways to implement the exercises and a healthy routine is to create a list of things that you will do in your day. This isn’t a to-do list, but more of a daily plan of all of the activities and exercises you want to complete each day. This is an effective way to keep the momentum going and continue to use the exercises each day. Let us know in the comment if you’ve discovered a few ways to curb your anxiety during the workday or during your routine. Any exercises you use, we’d love to hear! Therachat is FREE mobile app to help you be more mindful, reduce stress, track symptoms and reflect! any type of drastic life-style change.